Are you tyred of getting punctures? Are you tyred of getting punctures? Safety Wheel 2 Tyre Sealant makes it a distant memory! Simply add a dose of Safety Wheel 2 inside the tyre and continue working without costly and time-consuming stoppages. 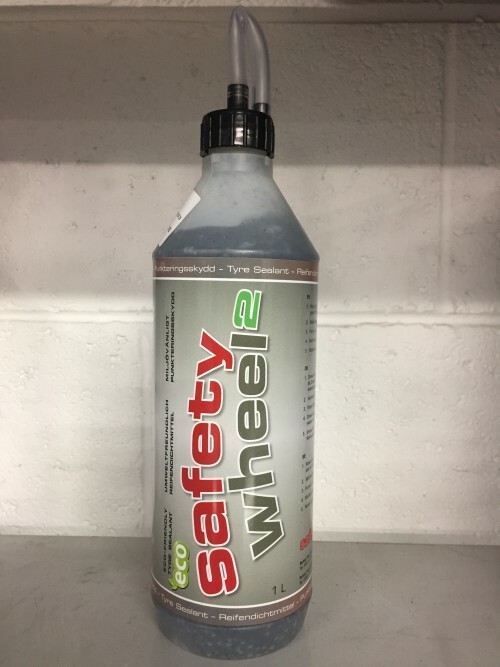 Safety Wheel 2 Tyre Sealant is a high quality product, which will not damage your tyres, health or the environment.